Cloud migrations can take many forms. You can migrate line-of-business applications to cloud-hosted apps or Software-as-a-Service. Going from the server-based version of QuickBooks to the cloud version is one example. The sense of migration may not be so apparent in this case. While the move to Office 365, which is a Software-as-a-Service (SaaS), is a very tangible migration. In this case, you are moving your most crucial business app, email, along with user accounts and data to a new cloud environment. Often the next step is to assess your remaining on-premises applications. If there is no viable SaaS replacement, what are your options? If these are off-the-shelf applications you purchased there’s a good chance they are hosted in servers are in the cloud, known as Infrastructure-as-a-Service or IaaS. This type of migration is referred to as a “lift and shift.” These applications will need to be evaluated for how best to optimize performance, cost, and security in an IaaS environment before migration. While you may be highly motivated to move business applications to the cloud to remove your ownership of computing and storage hardware, you also need to know it will be as good if not a better experience there. The third migration category is for in-house or custom developed applications. This allows you to not only consider a “lift and shift” migration but also look at re-platforming. 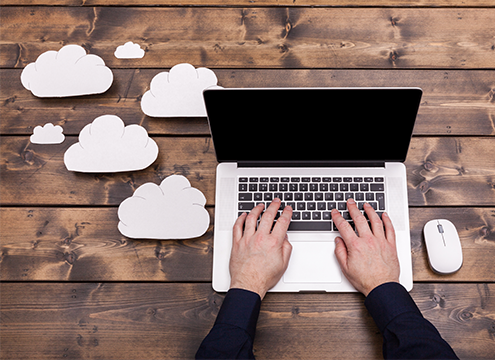 Major cloud providers offer Platform-as-a-Service (PaaS). You can significantly reduce the cost and complexity of a custom application while enhancing capabilities by leveraging PaaS services. This will require significant upfront effort to evaluate the existing application(s), then design and test a version built on top of PaaS services, but the pay-off can be significant. At Systems Engineering we do all of the above. We provide professional services to evaluate line-of-business applications you are considering, migrate and support you in Office 365, evaluate then migrate packaged software applications from on-premises hardware to cloud IaaS, and work with you to see how many custom applications you may have could see significant enhancements while moving to a PaaS environment. Learn how your business benefits.